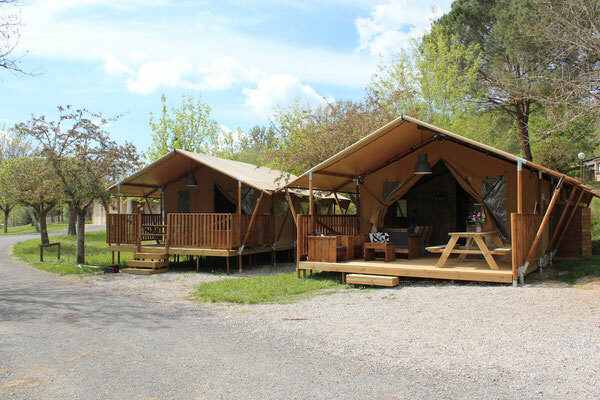 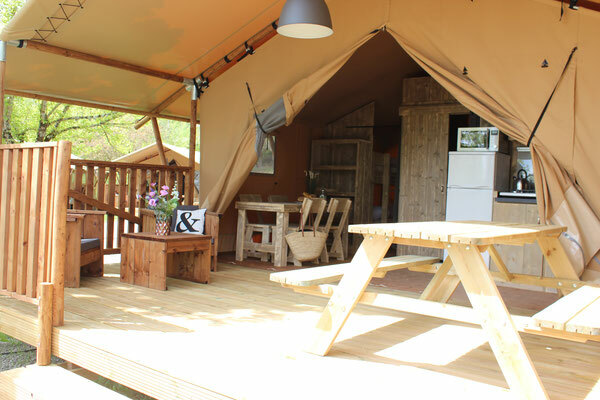 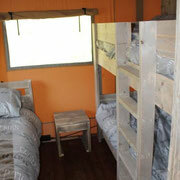 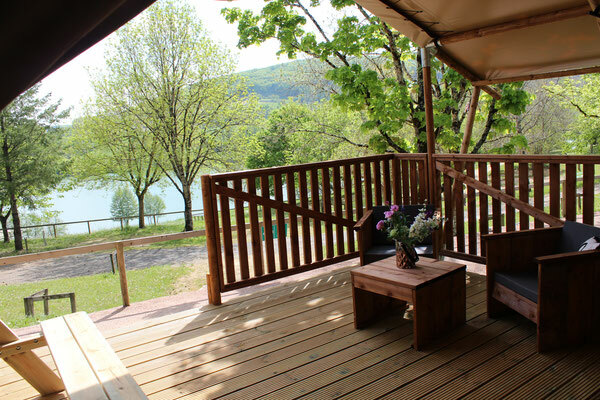 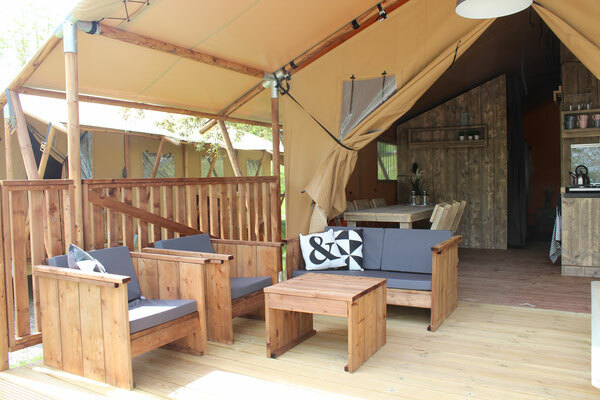 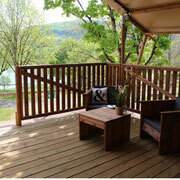 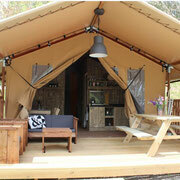 Real canvas bungalows, fully equipped, for unusual and comfortable holidays. 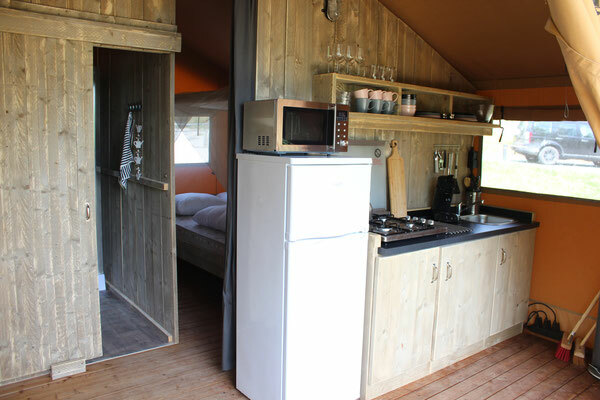 Glamorous camping !! 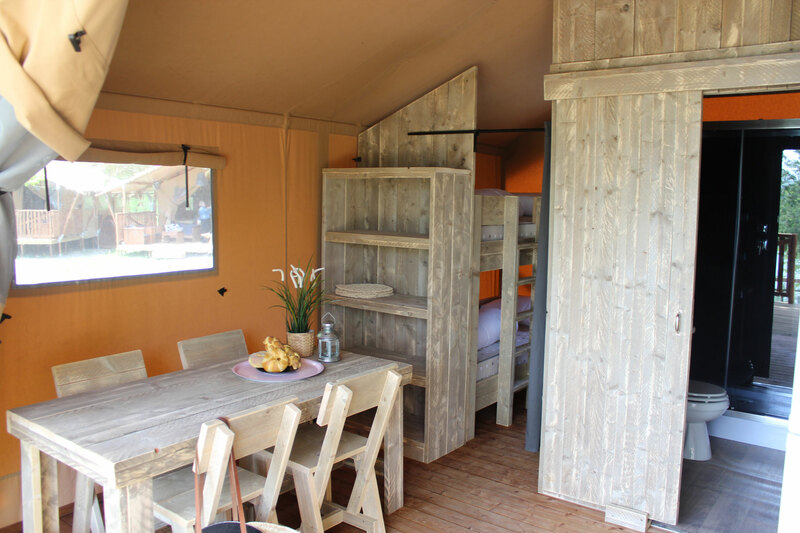 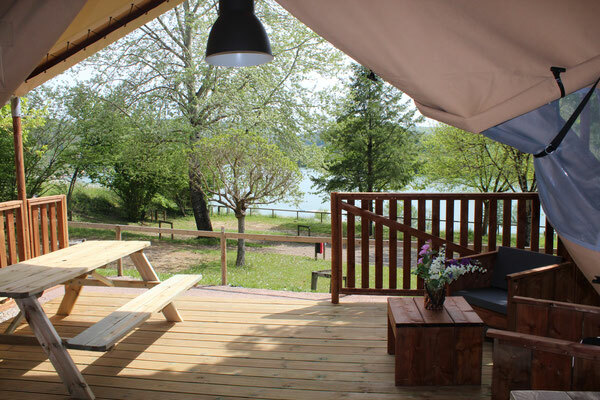 Tent « Canvas and wood » with covered terrace. 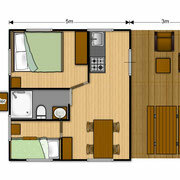 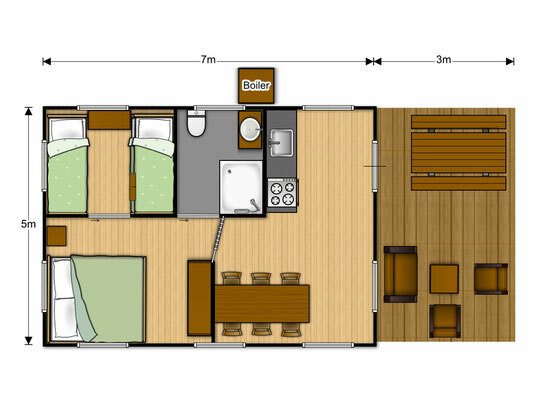 2 bedrooms, living room/ kitchen, multi-jet shower cabin with toilet. 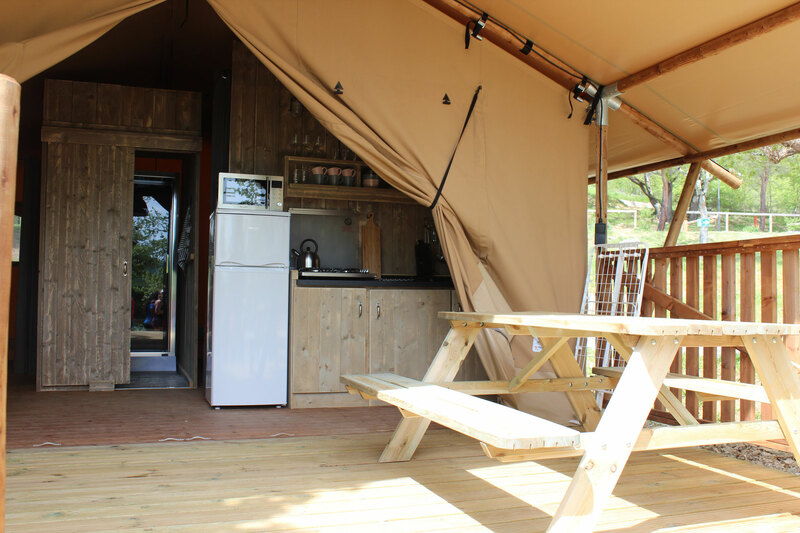 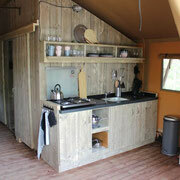 Tent equipment : Cooker, worktop, fridge, 1 coffee maker, microwave, garden furniture.